Although the choice of midsized trucks has grown bigger, the Toyota Tacoma is still standing at the front of the class. Here are five areas where the Tacoma offers exclusive or surprising features. 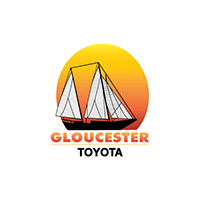 To see for yourself, visit Gloucester Toyota dealer serving Hampton Roads VA. Leading its class, the Tacoma offers cache radio. This unique feature lets you rewind a live radio broadcast to hear your favorite song again. The Tacoma offers the Qi wireless charger and an exclusive GoPro camera mount. The exclusive GPS Link App streams navigation from your smartphone to the standard Entune touchscreen. Never forgetting that utility is the purpose of a truck, Toyota has deepened the Tacoma’s beds. Durability is assured by the one-piece frame rails, 8-inch cross members and fully-boxed sub-frame. Adding to the value, every bed comes with tie-down points and adjustable cleats on the standard rail system. The Tacoma has eight airbags. That’s two more than the competition. Furthermore, it offers a blind spot monitor, which isn’t found on every rival. Learn about pricing. The Tacoma is the only rear-wheel drive midsized truck with a standard electronic locking differential for better traction. Another exclusive, alternating outboard-mounted gas shock absorbers help the rear leaf suspension handle bigger loads. Toyota packs the Tacoma cabin with sound-muffling materials in the headliner, floor, and doors. To create a buffer against wind noise, Toyota also laminates the windshield. Value your trade. Isn’t it time to upgrade your ride? Test drive the Tacoma at Gloucester Toyota dealer serving Hampton Roads VA.